© 2011 Timothy James Slawson, PA. All Rights Reserved. The architects role is to understand the clients "vision" and put it on paper. Our firm specializes in custom residential architecture, with the mission to create a style based upon the clients wishes. We do not start with our own premise on style, but rather design the style based upon what the home owner has seen or would like. It's the clients home, not ours. That is why our firm has produced a large variety of architectural styles. 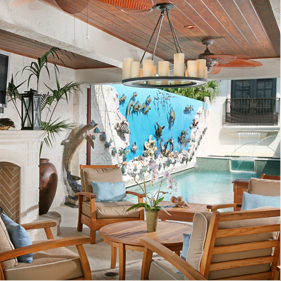 We take the clients design wishes and fuse them together with the tropical South Florida climate. It keeps our designs interesting and challenging. 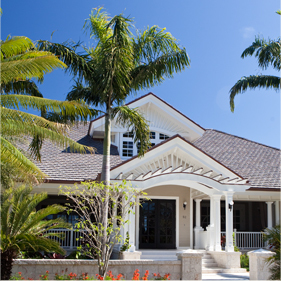 We are proud of our design portfolio, which includes, Key West, Old Florida, Bermuda, West Indies, Caribbean, Balinese, and Moroccan style homes. MEMBERS OF OCEAN REEF AND THE CITY OF HOMESTEADS CHAMBER OF COMMERCE. We are committed to communicating with you in a professional manner and protecting your confidential information. We use the information you provide (e.g. name, address, phone number, email, etc.) to contact you to share information about our (products/services). We will not share your information with any third party outside of our organization, other than as necessary to fulfill your request. This company does not sell, trade or rent your personal information to others. Please contact us to correct or update information at any time at 786-293-6000.